Jon Malin (Cable, Thunderbolts) comes hot off the heels of the hugely successful, Jawbreakers: Lost Souls, with the announcement of his latest work, Graveyard Shift. Teaming with co-creator and writer, Mark Poulton (Savage Hawkman, Avengelyne), Graveyard Shift asks the question, what if The Universal Monsters were the X-Men. Horror meets Superheroes, In the 46 page graphic novel, Professor Vladimir Blud, a scientist working for the super secret Atlantis Corporation, and his colleagues upon a great betray are murdered and forced into their own experiments to become the monsters they were hired to create. Framed as terrorists, the Graveyard Shift must go on the offensive to stop a supernatural evil from dominating the race of Men and enslaving the Earth. The project has been a labor of love for Malin and Poulton. A homage to all things Jon and Mark loved growing up (superheroes/sci-fi/horror), the book was originally conceived in 2010 after Poulton reached out to Malin. Since then the project has taken on several incarnations. In 2011, a Graveyard Shift preview book was released for Wizard World Philadelphia. 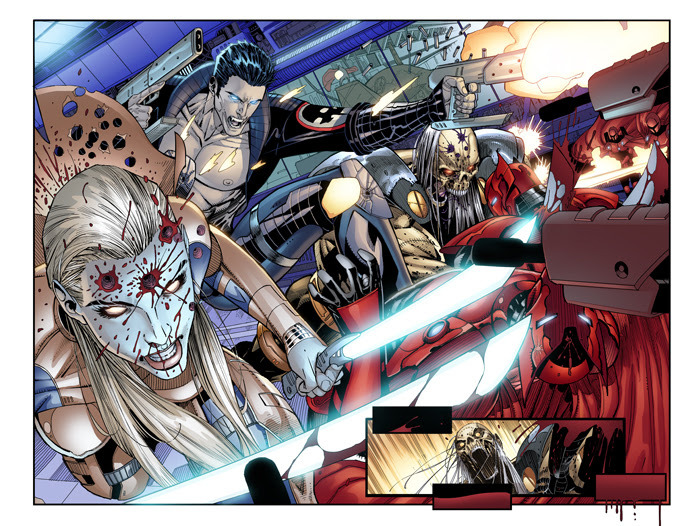 Along the way, the pages of Graveyard Shift earned Jon his job on Youngblood as well getting him hired by Marvel Comics where he was the artist on Cable/Deadpool, New Warriors, Thunderbolts, and most recently Cable. Since originally starting Graveyard Shift, Mark Poulton wrote Avengelyne for Image Comics and co-scripted Savage Hawkman during the New 52 for DC Comics with Rob Liefeld. Most recently, he and his son, Chase Poulton, wrote the Ringo Award nominee for Best Kids Graphic Novel, Pizza Tree. All 46 pages of Book 1 of a 2 book series have already been completed by Malin and Poulton. 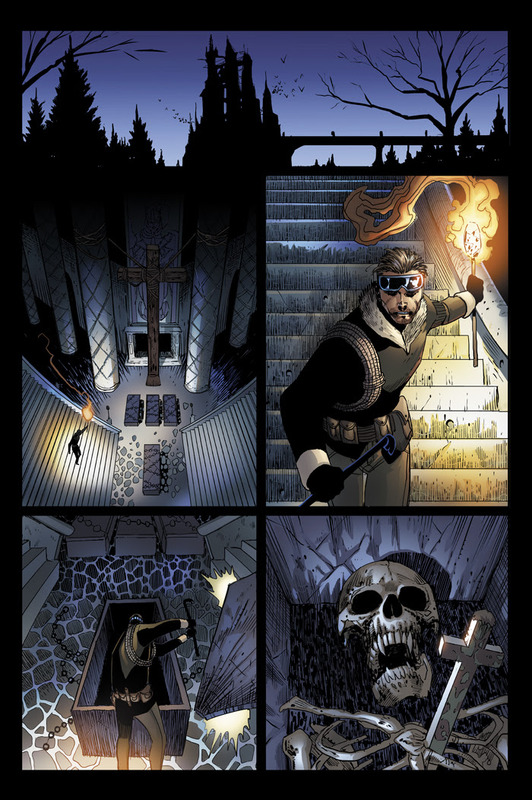 The Indiegogo campaign is to raise funds to letter and print Book 1 , as well as to produce a new 16 page ashcan written by Poulton and art by newcomer, Nerd Wonder! In addition, copies of the original 2011 Preview Book have been unearthed and will be offered as a reward. Graveyard Shift launches with an expected release date of February 2019 but you can help this project cone to life by donating to the campaign via the link below.